If you are a pastor, elder or worship leader, how much have you thought about the public prayers that define your Sunday morning service? If you have not, may I recommend this message by Terry Johnson, pastor of Independant Presbyterian Church in Savannah, Georgia. Terry provides a very strong, and convicting, case for well thought out public prayer. He rightly states that our the state of prayer in most churches emphasizes the spontaneous prayer that is more often plagued by cliché and empty words. 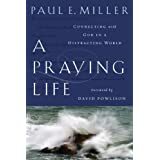 Prayer is more often caught than taught, and for that reason, the minister should offer a great deal of public prayer that is careful, saturated in Scripture, and distinct from our rambling, personal prayer lives. On a more sober note, Terry suggests that the public prayer life of a church is reflects the true heart of the minister’s dependence upon God. Churches that have nothing more than a few token, thoughtless prayers reveal a leadership that is more dependent upon self than on God. This message is not merely theoretical, it is full of ideas and suggestions that can easily be implemented. But the foundation for healthy public prayer is a sincere personal prayer life. Johnson references Hughes Oliphant Old quite frequently, and recommends his book Leading in Prayer: A Workbook for Ministers. I have this book and frequent it myself, and I can recommend it from my own experience. It’s an excellent resource. Justin Taylor has found the messages that Don Carson delivered in Cambridge that led to his fantastic book A Call to Spiritual Reformation. This is a young Carson with powerful messages on prayer. The conference messages are a good introduction to this book, and covers some of the same material. The book contains more material, and because it is such a phenomenal and important work, I highly recommend you read this book. Paul Washer’s message on prayer is one of the best, and most convicting and re-orienting, that I’ve ever heard. Washer turns to Jesus as his model and instructor of prayer. In fact, the disciples turned to Jesus about instruction on prayer. They didn’t ask him to teach them to preach, or cast out demons, or raise the dead. They asked him how to pray. Jesus not only teaches them, but his life is a living example. We take prayer so flippantly we ignore the clear instruction of Christ to go into your closet. We must repeatedly pull ourselves away from our surroundings to a place where we can focus without interruption. Washer also observes that it is so easy to initiate prayer with God. The difficulty comes in persisting in prayer. We don’t know what it means to wrestle with God persistently and not loose heart. He taught this by the widow who hounded the local judge to give her justice with her adversary. This ungodly judge didn’t answer her request because he was a good judge, he answered her because she was annoying. This was taught to teach us to pray with persistence. Yet, immediately after telling this parable, Jesus wondered that when he returned to the earth whether he would find faith on the earth — faith demonstrated by persistent prayer to a listening God. Have you ever wrestled in prayer all night for a big decision? If you haven’t, Washer says you’re a better man than Jesus.